oomph. : a week of high-waisted shorts. kimono. i have to admit...i wasn't always a fan of the kimono. they're usually floral and they're usually styled in one of a couple ways...over denim + a crop top, or over a dress. but let me tell you why: it works. something about the proportions - the length of the kimono, the high-waist and shortness of the shorts (or dress), the midriff bearing crop top - it just works. i first tested the waters with a long leopard print kimono that i won in a giveaway and paired it with a dress. here i'm pairing a shorter kimono with these high-waisted denim shorts for an easy, casual look. you are guaranteed to have all the pieces in your closet already - tank top, denim shorts, sneakers/sandals/slippers, and lots of jewelry. 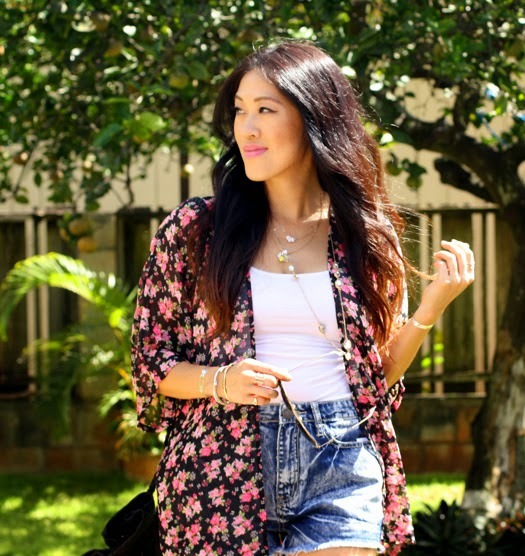 have you embraced the kimono trend? how would you style it...out of the box? 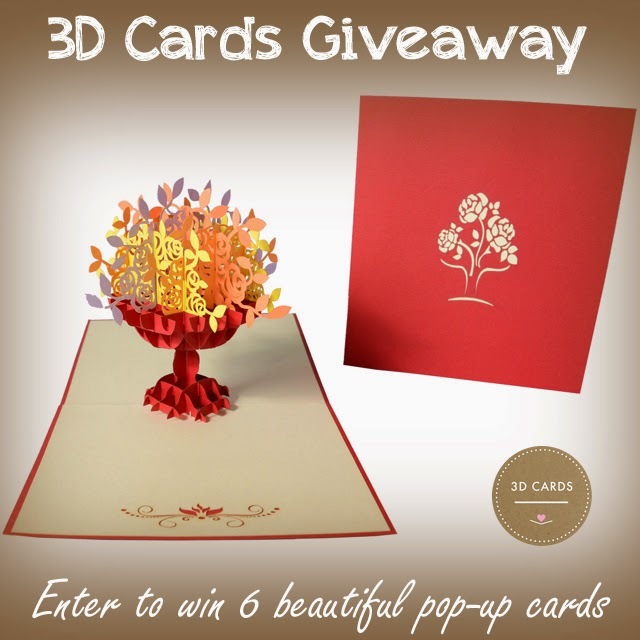 don't forget to enter the 3D Cards giveaway! 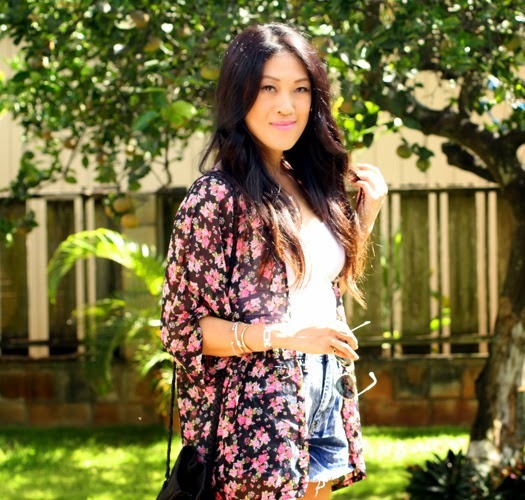 I love the kimono, so cute and chic! I really wish I had picked up a kimono this summer! They just seem like such versatile pieces! I love it over the high-waisted shorts! Wow. I've never worn one of these or even considered them, but it works wonderfully on you. Great idea. I didn't have any kimono tops though. I've been trying to look for one but just didn't bump into any. I think it's great for fall too. I'll probably wear something thicker with long sleeve inside and pair it with skinny jeans and a belt over the kimono on the waist. I haven't try a kimono out yet but want to. Cute look! I have a few kimono tops and I love them :) I like to layer a lot in the fall (since I freeze), this year though we have been going straight from hot summer weather to temps in the 30's! I always love to see the different prints. Styled well becks. Kimonos are surprisingly versatile in terms of styling options. I still haven't found the right one for me yet though. i think the kimono really suits you, i had doubts as well about it but now i think it can transform a simple outfit to a very stylish outfit! yesterday i said the cardi was my fave but now i'm saying this way is! you're right--it works!